Exciting! You've all been wonderful! Congrats!! What other 40s do you own? Also, anyone who ordered stickers, i'll be mailing those out via envelope tomorrow! Am I correct to assume that if an aluminum plate is selected, it will be anodized in the same color as that chosen for the case? You can leave a note in the cart and specify the color you want the plate in at checkout! Both my CC's were declined for some reason, but it worked when I went through PayPal. Maybe fraud protection protocol for an unknown website. Hmmm.. maybe an option to by extra cases? RIP Koob lol. I have a feeling by dec 1 ur gonna have far surpassed MOQ. Gonna be busy! How 'bout combining differently colored tops and bottoms? Lol guys, if you have any very special requests pm me! Ill forward all of them to my anodizer! The thing is colors usually require MOQs too, since they do them in batches. Im sure everything is possible but it can get confusing. But pm me and I'll do my best to get you guys what you want! So, what are the MOQs for colors? BTW, it was good practice with KBDFans 60% case providing spreadsheet with each color option purchased. Wait, so in order for each color to run it needs to have 50 orders? 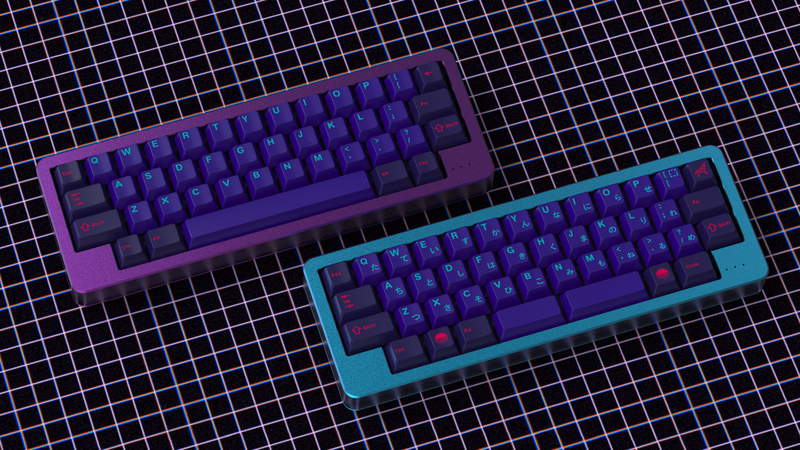 So 50 for cyan, 50 for purple,etc? No man everything is fine. It will run and ill cover any costs that dont hit moq! Ouch brother. Nothing i can do there :( Well i can label the total costs minus shipping and save money? Ideas? Ouch brother. Nothing i can do there Well i can label the total costs minus shipping and save money? Ideas? 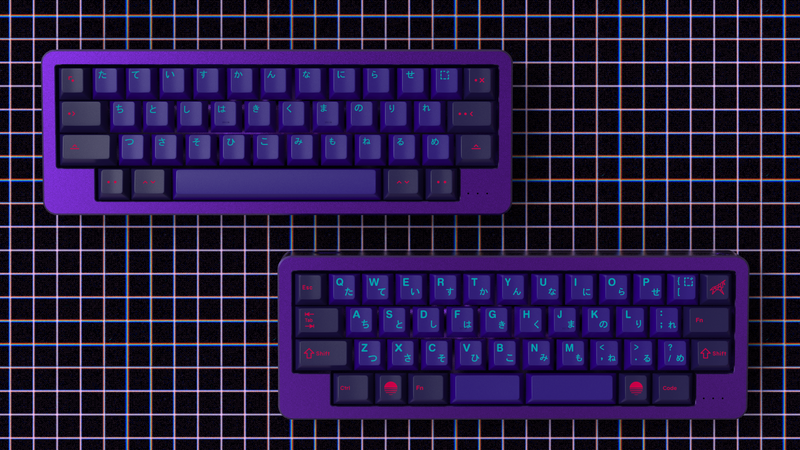 Purple and GMK Laser? Your thoughts? 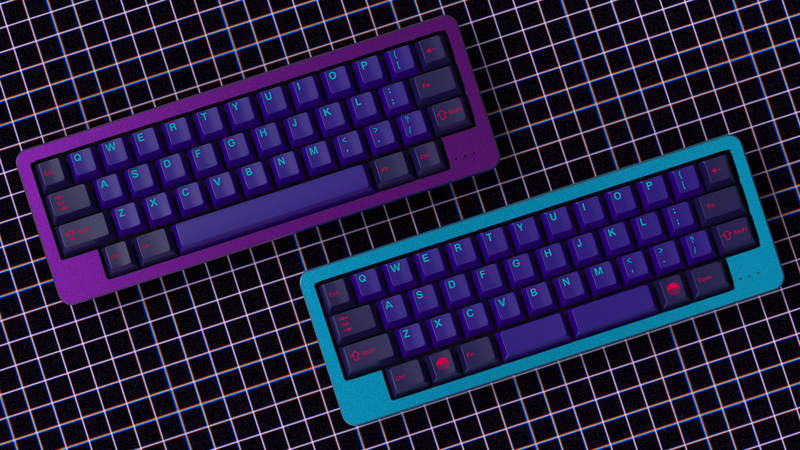 Mito is sending me GMK modifiers soon (fingers cross) and i can test them out for you. My thought would be Pink and Laser though ! 1-Can do a few orders different colored top/bottoms - If you really want it done PM me your order # and what you'd like! 2-@tameone I can do your order RAW sandblasted. If you still want this let me know what parts you want raw. Same price, you'd think it would be cheaper but its less parts for the anodizer and they actually want more work. Sorry my dude. If it turns out cheaper in the end ill PayPal you back money. 3-Bobcarlthethird mentioned engraving order numbers to the Pearls, will find out more soon! It would be awesome to get engraving of order number. BTW, I just placed an order. Order 50....MOQ met! Um yes! If you can't that's okay (or if it costs too much, although I would be fine paying a little more) Engraved Pearls would be sweet! God damnit guys, i think my payment mode for credit cards was in test mode...no wonder orders weren't going through. Sorry about that! I have something in the works to go along with this board. I'll post more details tonight and some official info next week. Some news fellas, posted the current orders form on the first page of this thread. All orders are listed there if anyone is curious in the current numbers! Would it be possible to get a photo of all the existing sample cases together in one shot? Just so we can see them all with the same lighting for comparison? Sure Ill get it Sunday, out of town rn and only have the purple on me! Would you mind combining different color bottom and top case and take some photos. Ok, pre-IC interest check here. Something I've been thinking about for awhile as I struggle with finding an acceptable solution to my keycap profile OCD. Blank 1u R2 and blank 1.5u R3 keys to allow you to maintain proper profiles on your Pearl for Esc/Tab, Enter, and whatever you use the key next to 'A' for. 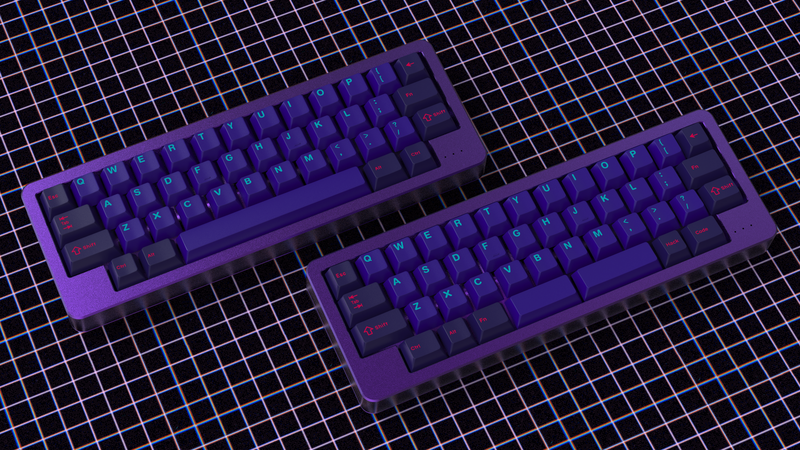 The kits will be useful as accents on other 40/45% keyboards as well. 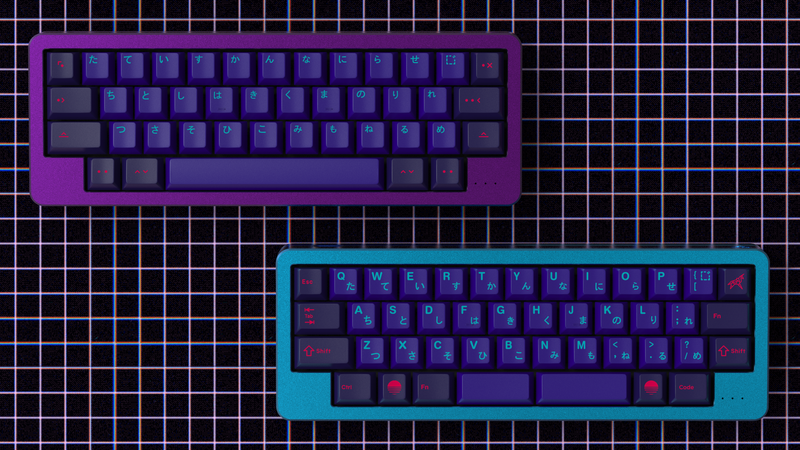 I'm waiting for GMK to respond to see if this is feasible when it comes to pricing and MOQ (2 key single color kits is ideal. GMK has made small kits with NO MOQ before, so that would obviously be best). 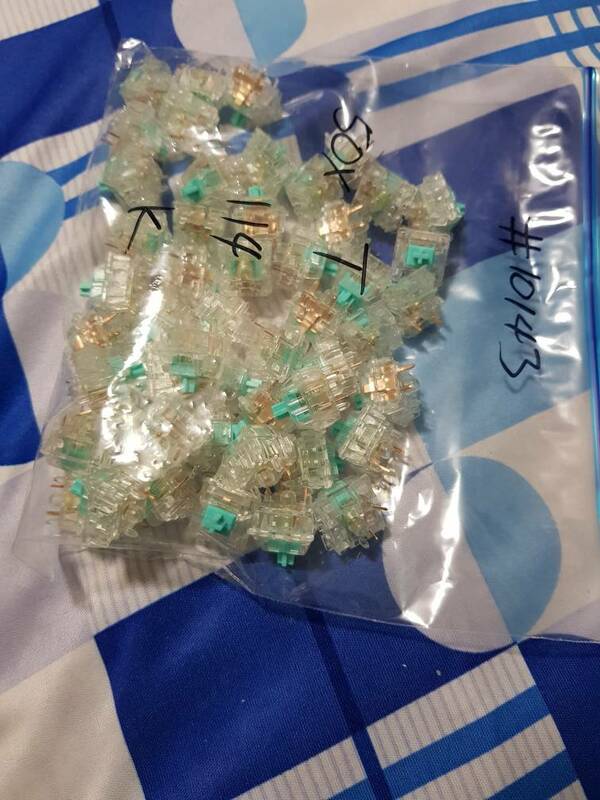 These will provide exact color matches, acceptable approximate color matches, or accent colors for 35+ GMK sets, as well as JTK, EnjoyPBT, Modern Beige, etc if you want to mix and match..
Any suggestions on best to pair with Carbon SA? I can't decide between black, gray or silver. Oddly enough, in Canada I'm given one option, "International Flat Shipping Rate" and it's 80 USD. How am I paying more than someone in Europe??? I might as well ship it to an address in the US and drive to pick up. Seem like Canada Postal fee is quite expensive. Dude this is so cool. Id def get in on it, and thanks for sharing! Morning, if you are given the maximum Fee of $80, it means USPS did not find a way to calculate or ship your package. In that case i would have to send it some other way and refund you the difference. I'll send you a pm and see if i cant bring that down to about $40! I made a Pearl pixel art. Check the sig! Thanks. Still getting quotes from local cerakote shops, but honestly I'm starting to lean towards just getting a silver anodized pearl. Oh my god! You must share, thats so cool haha! And you let me know, here for you! Hey everyone, i don't like airing my dirty laundry, but i want to inform you all that PayPal has "limited" my account. Do yourself a favor and use stripe. You can't accept payments from certain countries with stripe, and the protections aren't the same.